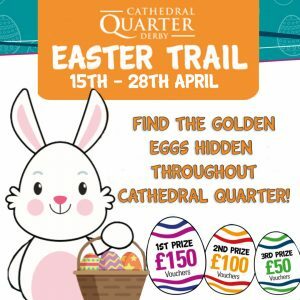 Celebrate Easter in Cathedral Quarter with an Easter Egg Trail! 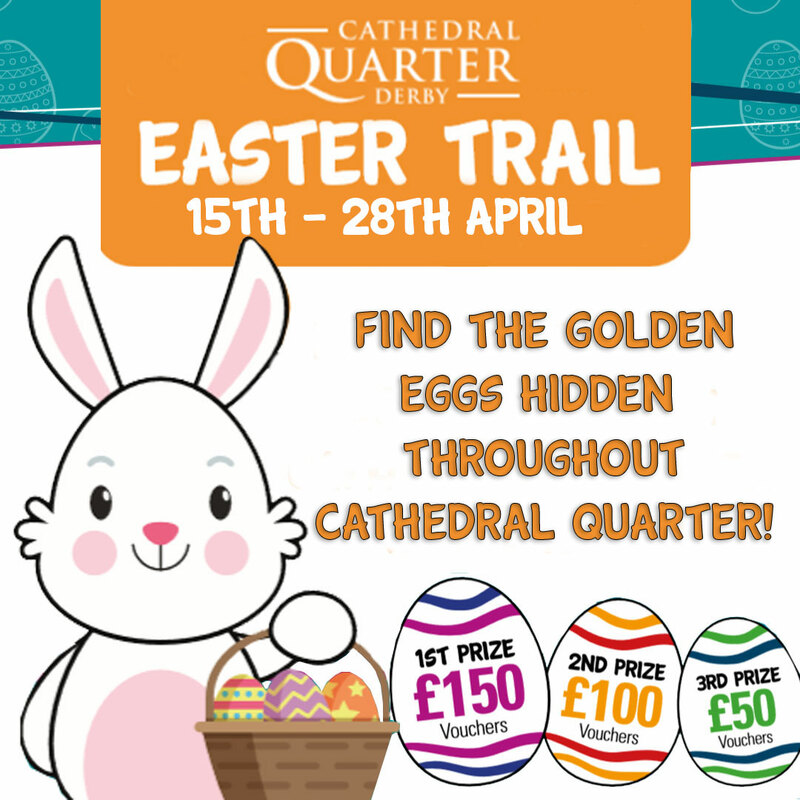 A special Easter trail will be set around the streets of Cathedral Quarter during the Easter Half Term Holidays. Can you find all 34 Golden Eggs that are hidden in business windows? Trail maps will be available to pick up from Monday 15th April at Quad in the Market Place, Elements Tea & Coffee House on Victoria Street or can be downloaded here . All you need to do is complete the trail map with the names of the businesses that you find the eggs hidden in and submit the map back to us by Friday 3rdMay. All correct completed entries received will be entered into a prize draw to win vouchers for Cathedral Quarter Businesses of your choice. The trail is free for all to enter and runs from the 15th – 28th April.